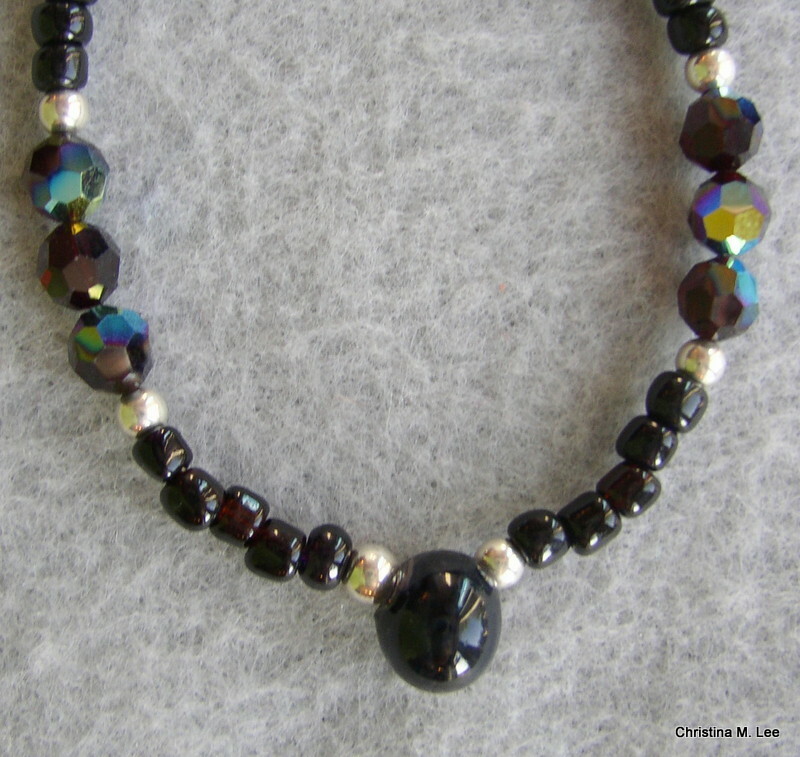 The Center Focal Drop Bead in this Necklace is my hand crafted (lampwork) beads. 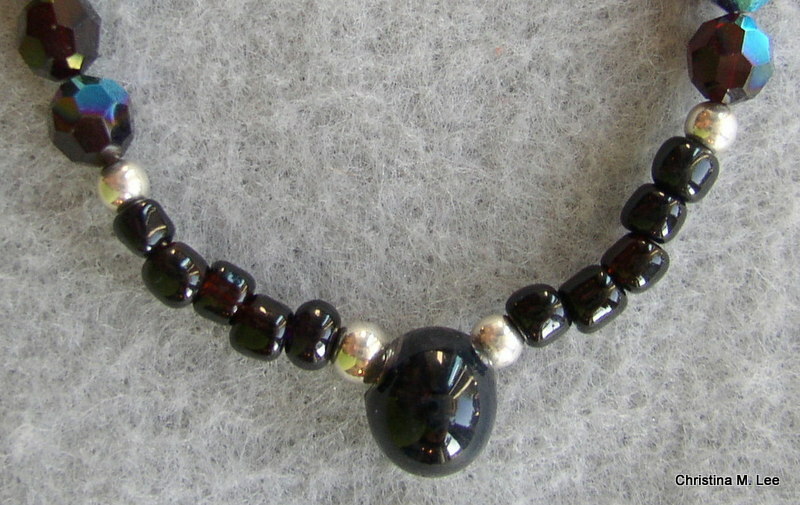 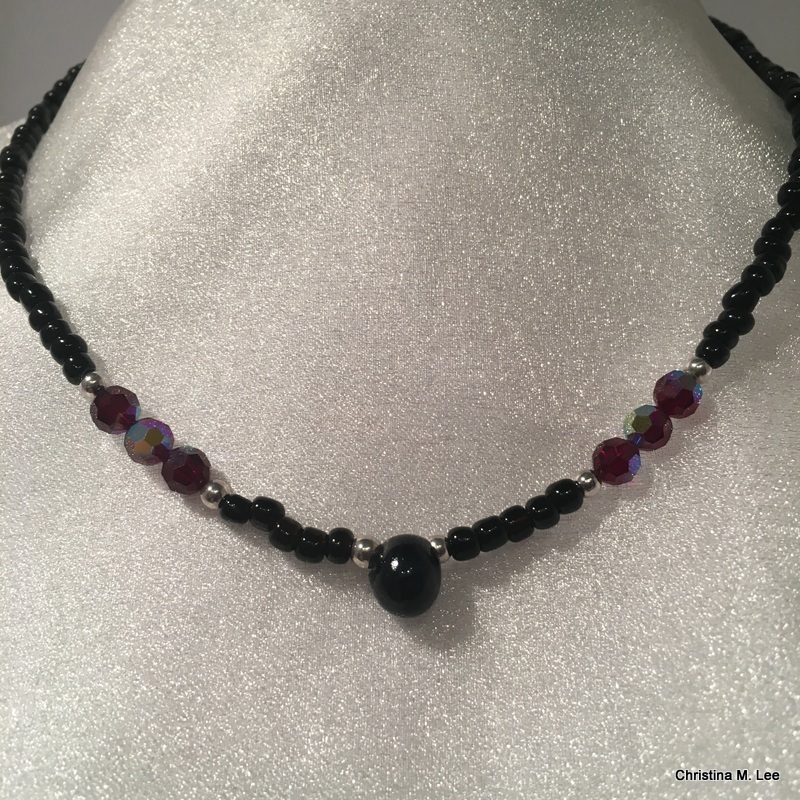 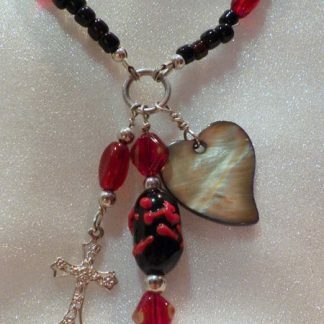 My Black Drop Bead is strung with deep blood red Swarovski Crystal beads and Sterling Silver beads with a Sterling Silver Clasp. 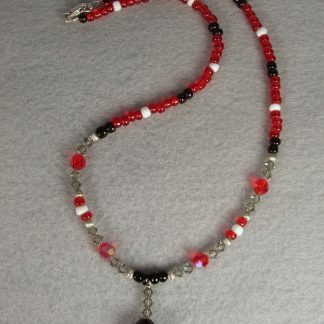 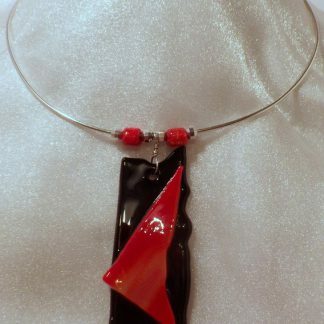 This necklace measures 17 inches. 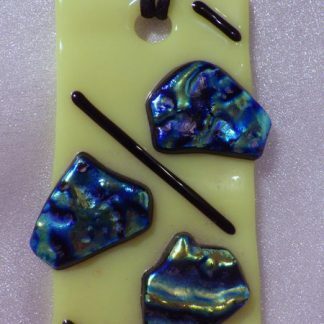 Each lampwork bead is created by melting the glass under a torch and creating an elegant a one-of-kind bead, therefore each of my creations is a one-of-a-kind. 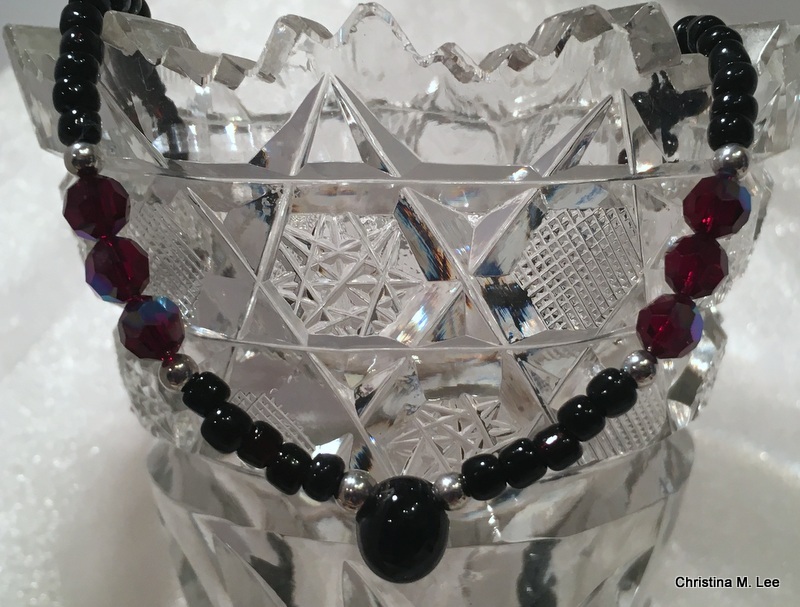 <———– Click on the pics to enlarge.